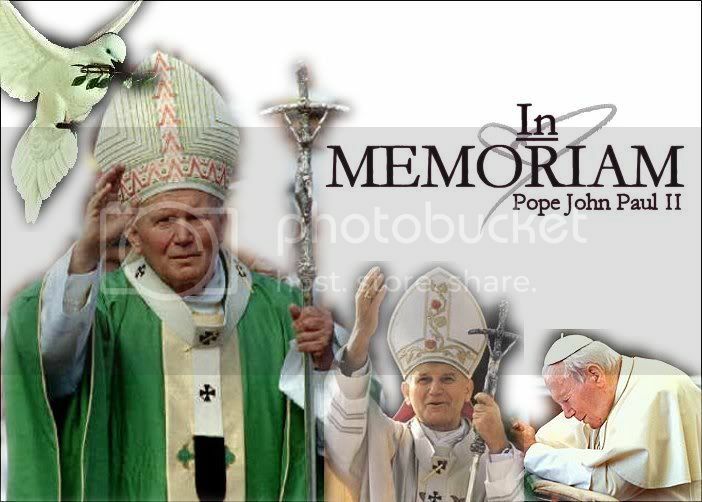 In loving memory of our beloved pope, John Paul II. Viva il Papa, Benedicto XVI. Welcome, this community is for all of the Roman Catholic faith to unite, discuss, help, and pray. We are all united by our Catholicism. Please come here to discuss anything on your mind relating to Catholicism. We, as a community will do our best to help you out with your questions. I encourage someone who is willing to please post the daily Gospel reading in this community. This is a great way to discuss. People from all religions and races are welcome here. We are glad to answer your questions about our faith. The only rule is to be respectful. You all know what I mean by that.